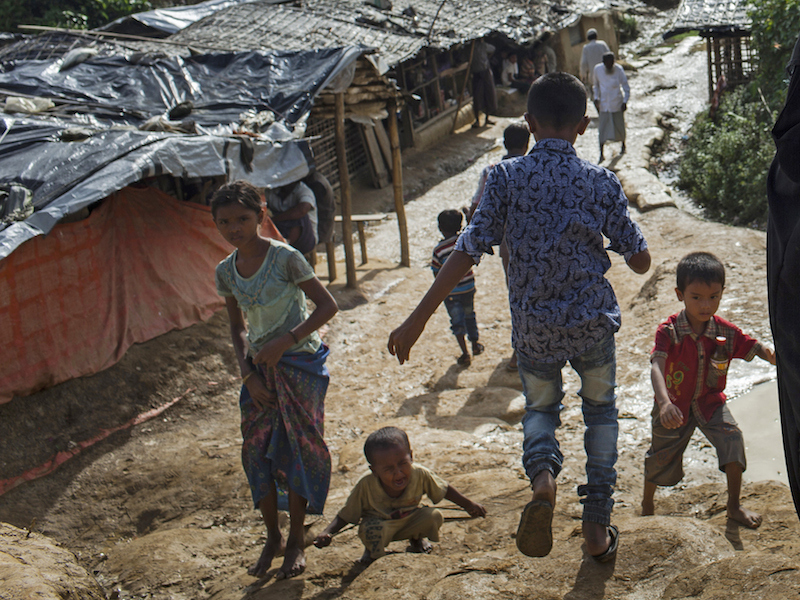 Amid reports of extreme violence, death and devastating loss, UNICEF and partners step up lifesaving support for Rohingya children and their families. A new chapter in the global refugee crisis is unfolding in Southeast Asia, as more than a half a million ethnic Muslims from Myanmar's Rakhine State pour into Bangladesh, running to escape what many officials are calling a clear case of ethnic cleansing. In response, UNICEF and partners are stepping up efforts to provide nutrition, health care and protection for child refugees and their families. Relief workers are preparing to vaccinate hundreds of thousands of children against cholera, a highly-contagious yet preventable disease that can turn deadly in humanitarian situations. 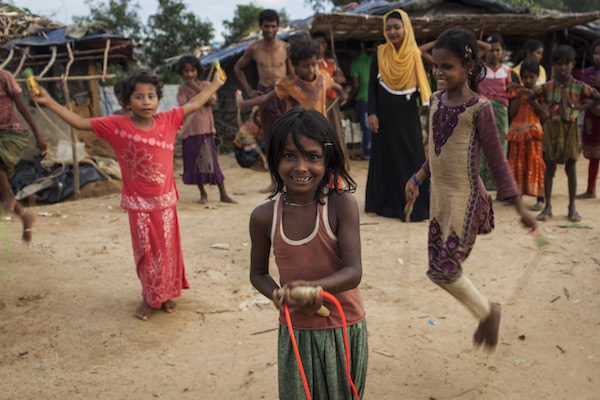 The refugees are Rohingya, an impoverished and stateless minority who have lived on land that is part of present-day Myanmar since the 12th century. The Rohingya have long faced persecution and worse in the predominantly Buddhist country, but there is growing evidence of a sharp escalation of violence against them in recent weeks. The attacks are being carried out as organized massacres, the atrocities "flamboyantly brutal, personal and intimate," the New York Times reported. Children and their parents are being shot, stabbed, beheaded or burned alive. Women are being gang raped. Entire villages are being burned to the ground. At least 1,000 civilians have been killed by government troops since August, and possibly as many as 5,000, according to human rights groups. Thousands of Rohingya refugees continue to arrive daily in the Cox's Bazar district of Bangladesh. The vast majority are women, including mothers with newborn babies, and children. And they are joining an existing refugee population, some of whom have been in the camps for years, others displaced by recent flooding. As of late September, Bangladesh was sheltering 800,000 forcibly displaced Rohingya. 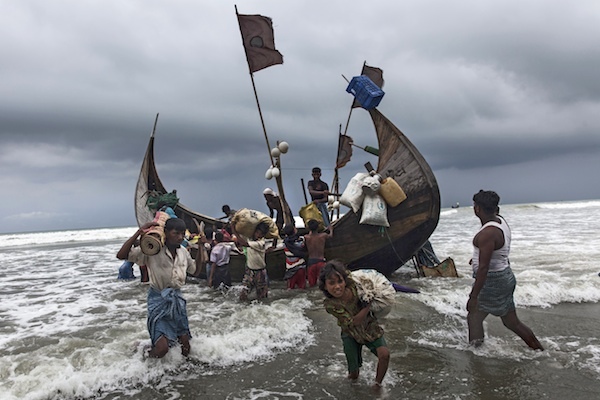 While most of the Rohingya refugees are arriving on foot, walking for several days through jungles and across mountains, thousands are making risky voyages by fishing boat across the Bay of Bengal. Many have died along the way, drowning at sea when their boats capsize. The refugee camps and makeshift settlements in Bangladesh are well over capacity. There is tremendous pressure on already scarce resources. There are shortages of food, water and other necessities. The overcrowded, unhygenic conditions are increasing the risk of cholera and other disease outbreaks. Malnutrition and exhaustion make children especially vulnerable. "We are very concerned," Maya Vandenant, Chief of Health for UNICEF Bangladesh said. Jean-Jacques Simon, Chief of Communication for UNICEF Bangladesh was at the border in mid September. "You see children who have not slept for days, they are weak and hungry," Simon said. "I saw half a dozen children without their parents, they need special care and protection. It's a growing humanitarian crisis, and we need to scale up our operation fast." I saw children without their parents.... It's a growing humanitarian crisis and we need to scale up our operation fast. UNICEF and partners have been trucking in clean water, installing latrines and distributing hygiene kits and water purification tablets. Response teams are also screening and treating malnourished children, and mobilizing teams of vaccinators in preparation for what will be the second largest cholera immunization campaign ever, after Haiti in 2016. UNICEF is also expanding its Child-Friendly Spaces, facilities where kids can learn, play and feel safe. There are nearly three dozen mobile child-friendly units up and running, each equipped with recreational kits and educational materials, and staffed with trained teachers and counselors providing psychosocial support. "These children have been through a terrible experience. They are heavily traumatized," said Fatema Khyrunnahar, a UNICEF child protection officer. 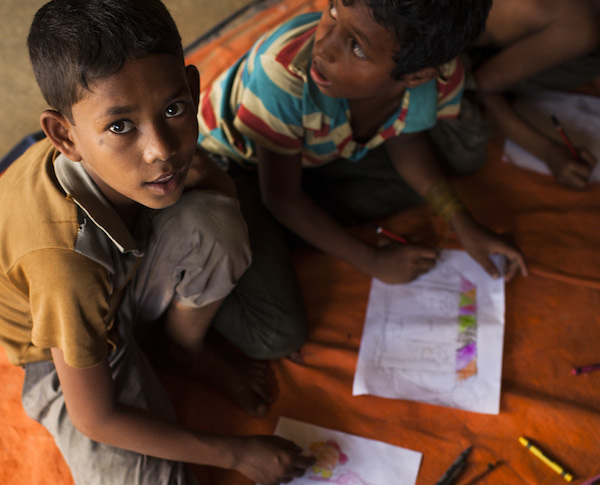 UNICEF is also working to identify separated and unaccompanied children, and protect them from trafficking and other forms of exploitation and abuse. Help UNICEF deliver lifesaving aid to Rohingya refugees. Your contribution can make a difference.